It’s difficult to describe what true love is these days with the fake world built around us by social media where every action in our lives is geared towards generating ‘likes’. A Nigerian couple seem to have come very close to it with their wedding photo going viral due to how incredibly real it is. The photo’s has gone viral because the lady in it has suffered some form of burns on her face which is making everyone go like ‘WTF?’. 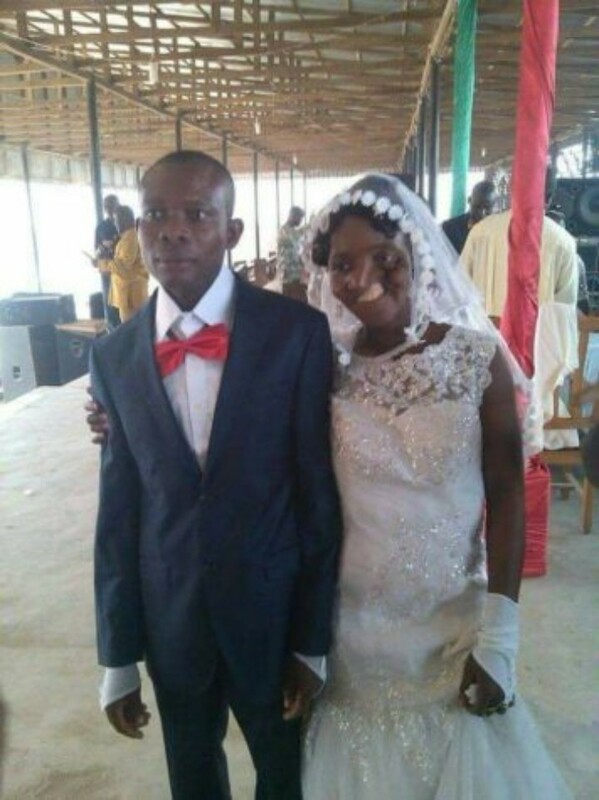 Apparently, she was involved in a form of accident which disfigured her face but while many men would have run away, this guy stayed and walked down the aisle with his sweetheart despite her current condition. This gives us hope that not all humans are scumbags like you see everyday and perhaps there’s still some hope for our future.